What is an Insurance Broker Bond? Regulated by each state, insurance brokers and agents sell or negotiate insurance policies in exchange for financial compensation. Additionally, some also work with their insured customers to develop risk mitigation strategies. To legally operate, insurance agents must be licensed in the states in which they operate. In addition to being licensed, most states require insurance brokers, whether operating as a broker company or an individual, to also become bonded. Insurance Broker Bonds ensures strict compliance with state insurance laws, and provide protection to any person or group of individuals that may have been wronged as a result of a negligent act committed by a licensed insurance agent. How much does an Insurance Broker Bond cost? How do I get an Insurance Broker Bond? Do you offer bad credit programs for Insurance Brokers? How can I lower the rate for my broker bond? Bond premium for insurance agent bonds is typically paid for on an annual basis. Rates are quoted as a percentage of the total bond amount. Due to strict licensing requirements and state regulation, these bonds are considered to be less risky than many other types of license bonds. As a result, Lance Surety is able to aggressively offer quotes to both standard market applicants as well as those with less than perfect credit. Applicants with stellar credit typically see rates between 1 to 3% of the bond amount. Due to our exclusive high risk programs, bad credit programs rarely exceed 7.5%. The first step is to apply online. Our website has a state-of-the-art online application that offers instant quotes upon completion. Once you’ve received our quote, you’ll just need to pay your bond premium and provide a signed copy of the indemnity agreement, which will be emailed to you. To learn more about the bonding process, visit our page on “How To Get Bonded”. Yes, we offer a variety of exclusive bond programs for insurance agents that have less than perfect credit. We take great pride in being able to simply the bonding experience, by being able to approve over 99% of all applicants. Our bad credit applicants usually receive approvals from our company at half the rate most competitors are able to offer. 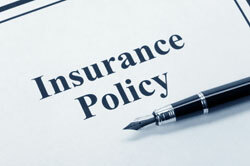 Rates for insurance broker bonds are based almost only on the personal credit of the applicant. Therefore, anything you can do to improve your credit profile, such as paying off any past due collections or tax liens, can go a long way towards lowering the price of your bond. Demonstrating that you have industry experience via a resume, or financial success through financial statements can also help to “Finding the Lowest Surety Bond Rates”.